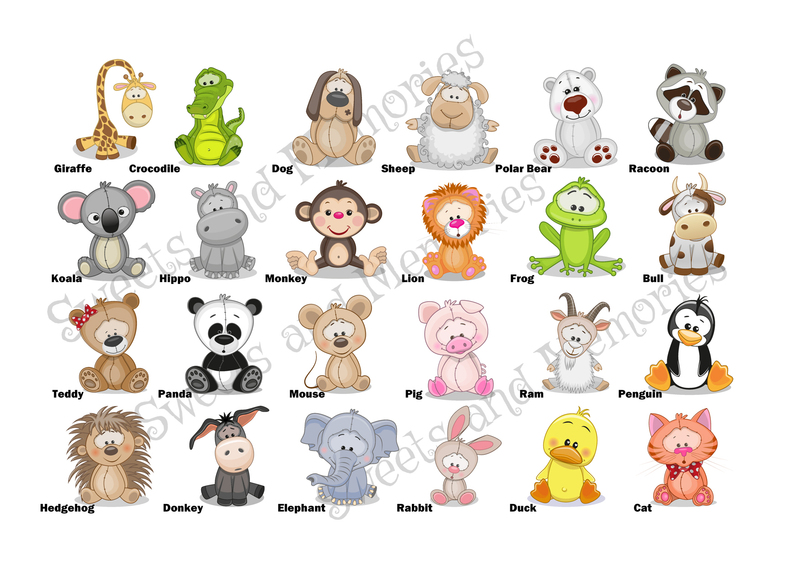 Each lovely print depicts the family members as cute colourful animals - yoe can choose from: Giraffe, Crocodile, Dog, Sheet, Polar Bear, Raccoon, Koala, Hippo, Monkey, Lion, Frog, Bull, Teddy Bear, Panda, Mouse, Pig, Ram, Penguin, Hedgehog, Donkey, Elephant, Rabbit, Duck and Cat - thee second image will show you each of them. Please detail on checkout your chosen surname/family name and which family members you would like shown - with ages for children so the images can be scaled i.e. Man: John or Dad (which animal); Woman: Jenny or Mum (which animal); Girl: Samantha, 8 (which animal) etc.